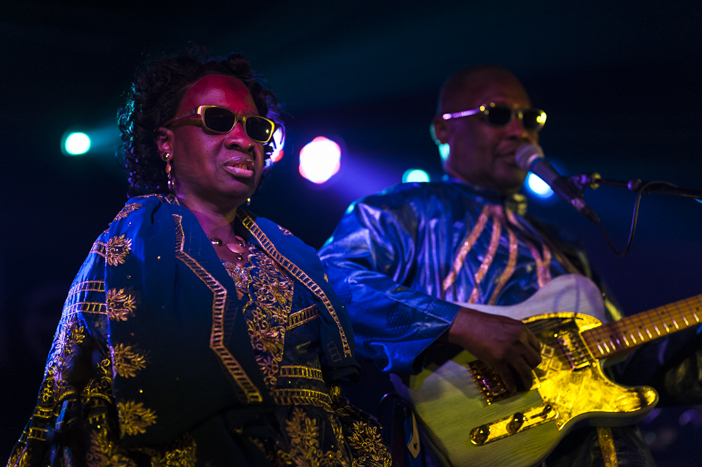 On the day the drought broke in Brighton, Amadou & Mariam brought the heat right back into town with a two-hour set of multi-instrumental sunshiney fun. 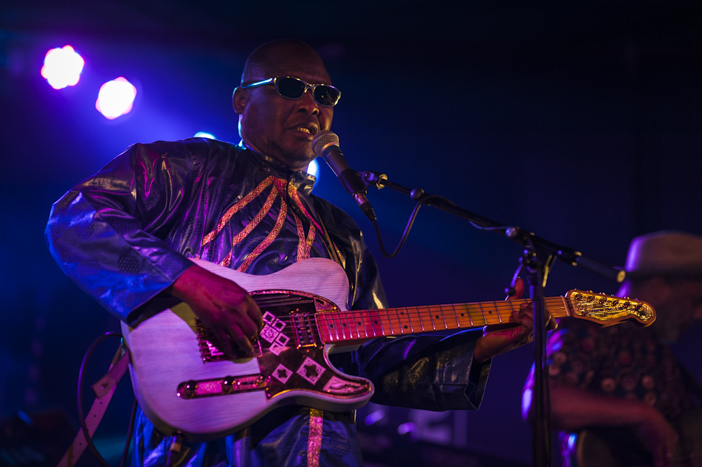 One of those lovely crowds that you sometimes get at Concorde 2, where people of all types had gathered out of a sheer love of the music, streamed in to utterly fill the venue, each one beaming and expectant. 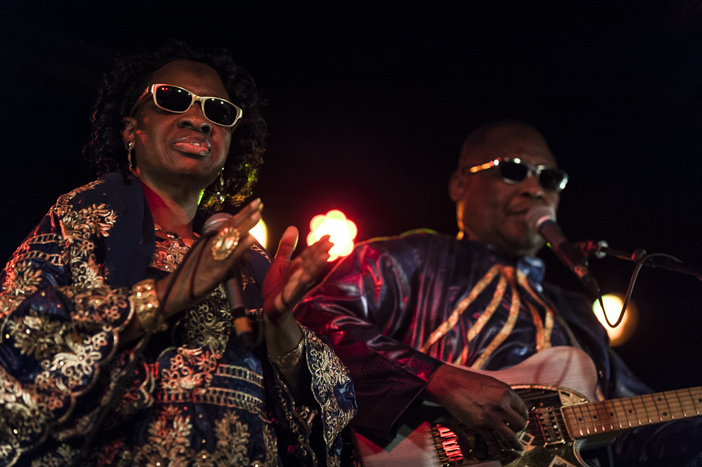 It isn’t hard to love Amadou & Mariam. 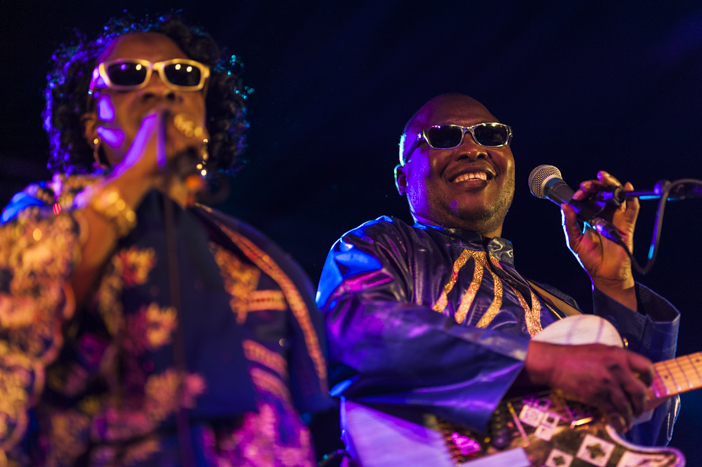 The duo captured people’s imagination back in 2008 with their ‘Welcome To Mali’ album, reminding a somewhat jaded world music audience that the various nations of Africa could not only deliver exciting and spirited musicians but technically excellent ones too. 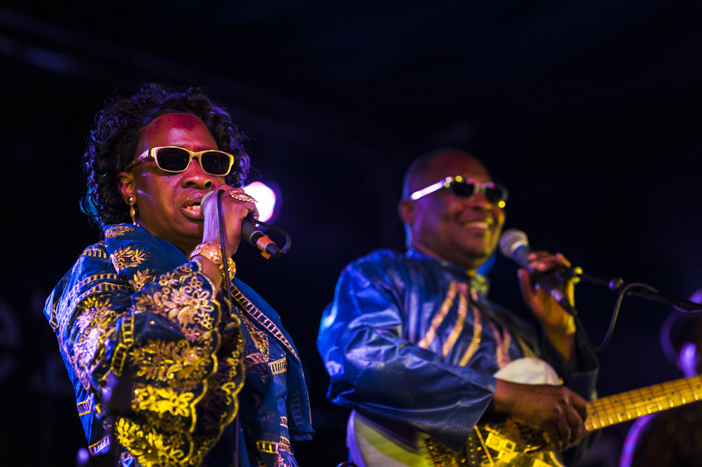 Perhaps what took people by surprise most was that despite the very ‘African’ sound of the music, it also incorporates the distinctly familiar sounds of 70s punk rock riffs as well as the nearly clichéd bongo rhythms that were reabsorbed through hip hop. 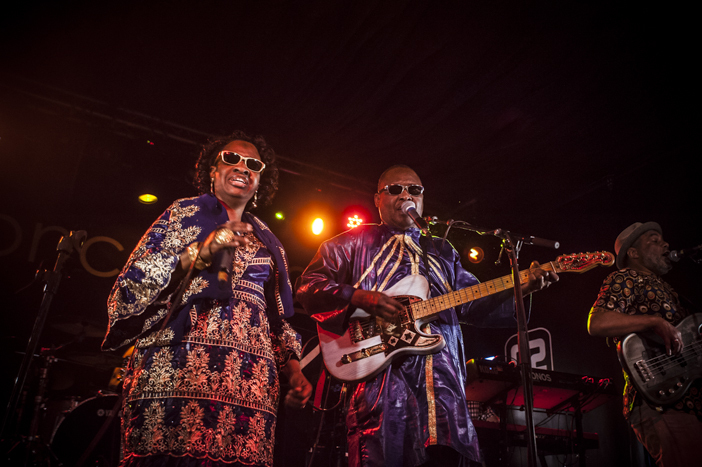 While this will be no surprise to anyone who has spent time on the continent or, you know, might actually be an African, it shook up the world music scene who often like their ‘foreign’ cultures contained in neat little museum-ready boxes. 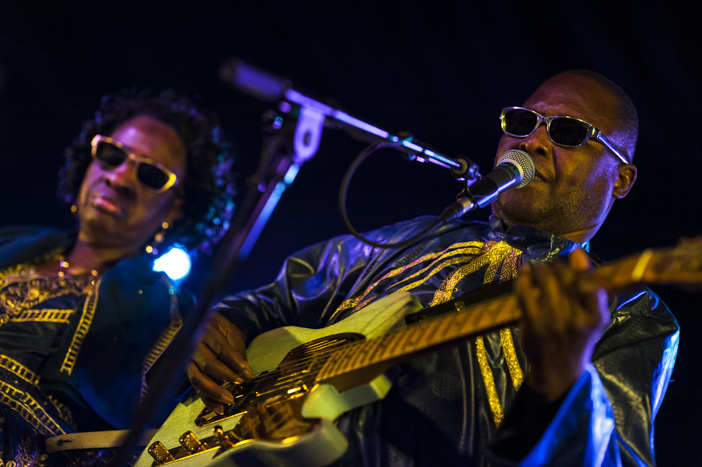 Just as European music has been soaking up the sounds of other continents, so too have artists further south been devouring ours for decades. The album was itself a result of collaboration with other artists included, yes you guessed it, Afro-phile Damon Albarn. 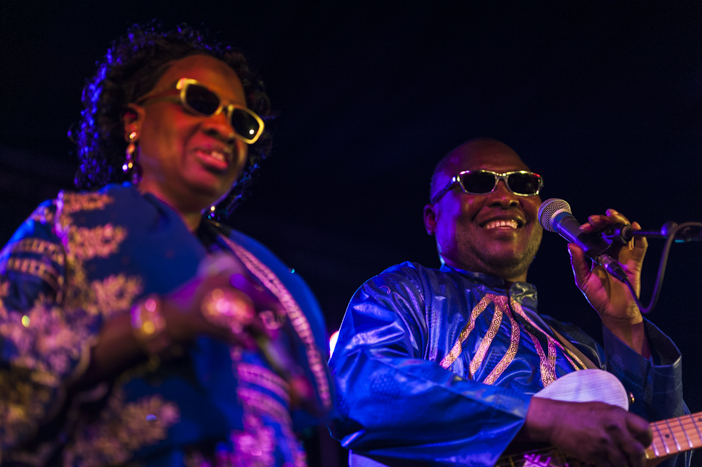 Amadou & Mariam seem to accept and enjoy this educational aspect of their performances. 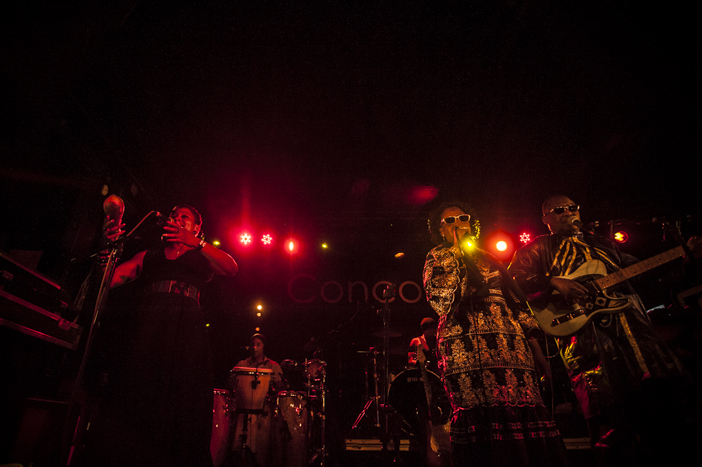 One of the signature tracks, named simply, ‘Africa’, showcases specific nation’s sounds. 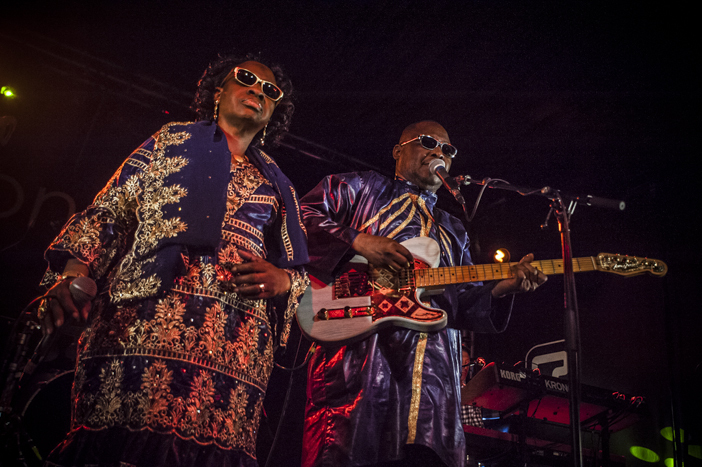 Performed with the indefatigable Amadou calling out the music’s origins as the musicians covered seemingly everything form Berber drumming to guitar melodies from Niger, again and again we are reminded of the musciality of the band as they succeed in blending and improvising around such a dizzying range of styles. Typically the sound in Concord 2 can be, well, a bit ‘iffy’ for live music with not all zones getting full service. Tonight though, with the cool sea breeze blowing in through the open doors and mingling with the rising body heat from the all-ages crowd all bobbing along, it was hard to think of a better place to hear this music. Compared with the lazy Sunday festival setting where SOURCE last saw the band, the club’s intimate dance hall environment is far more apt. 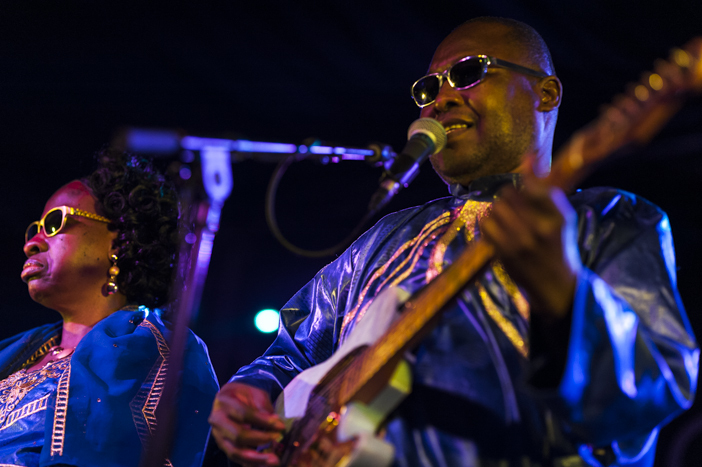 Not dancing to Amadou & Mariam takes a bit of discipline, so energising is the rhythm and sheer passion coming from the stage. They seem to just bloody love what they are doing, and so does everyone here. 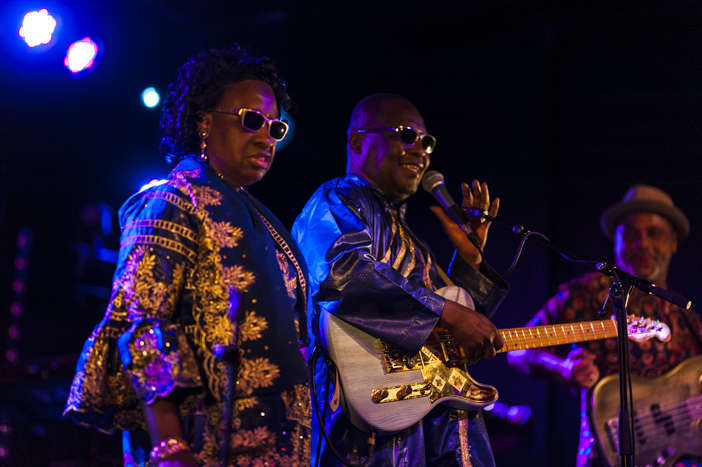 A lot of egos walked in that door at the start of the gig; by the time the fourth of fifth song has been played they had all melted down in the face of Amadou’s endless grin. The duo may not have been able to see us, but the noise of the encore call made everyone’s appreciation clear. 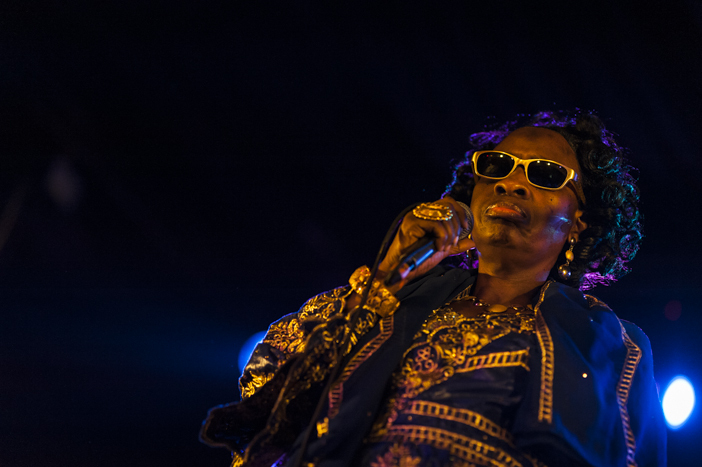 It was, of course, time for the song everyone had been waiting for: that bewitching blend of Amadou’s almost strained voice and utterly club-ready synths that took the summer by storm a decade ago. ‘Sabali’, a song the likes of which many had never heard before and that paved the way for the likes of tUnE-yArDs and a host of other eclectic-pop acts to liven up English radio waves, was the reward at last for another great night in Brighton’s live music scene.